The template represents pretty cream-styled design with mild tones and tender fonts. The images of wedding cakes just complete the composition and theme. Besides, the template carries responsive layouts and your customers would be able to get in touch with your website from any place from their handheld devices. Very pretty and sophisticated template is responsive. We use it together with K2 component and everything works smoothly. 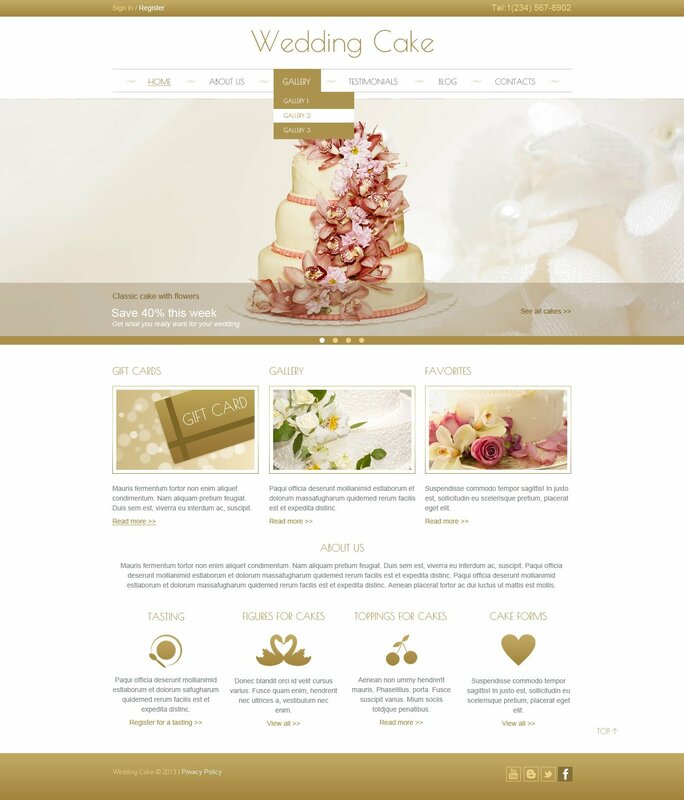 Our clients are very satisfied with the website and we are due template Wedding Cake ensure cooperation for the next few years. Satisfied also our programmers who have created web sites and through Gantry framevorku that this template uses them worked very nicely and quickly. All this template, we can only recommend. This is the first time I&#039;m trying to build a (Joomla) website and this template is amazing! It is simple install and use and very complete.